Get additional 20% Discount on the Display price and a special visit to Maduppetty Dam..
With the Arabian Sea in the west, the Western Ghats towering 500-2700 ms in the east and networked by 44 rivers, Kerala enjoys unique geographical features that have made it one of the most sought after tourist destinations in Asia.An equable climate. A long shoreline with serene beaches. 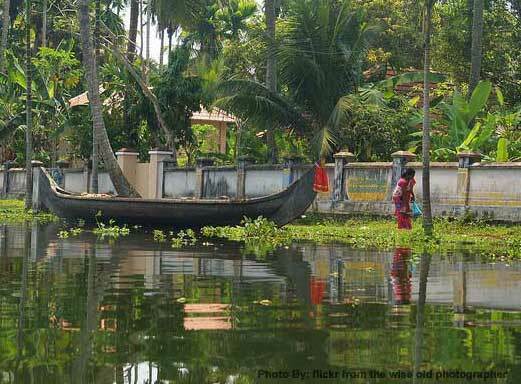 Tranquil stretches of emerald backwaters. Lush hill stations and exotic wildlife. Waterfalls. Sprawling plantations and paddy fields. Ayurvedic health holidays. Enchanting art forms. Magical festivals. Historic and cultural monuments. mended sightseeing travel & assistance Meal Plan CP (Breakfast Included) at hotels & resorts. Arrive at Cochin Airport and our representative shall meet & greet on arrival, transfer to Munnar which is about 145 kms 4 hrs 30 mns drive up the hill station. Enjoy the views of the thrilling journey up the hill station and en-route visit Cheeyappara falls. Check in to the hill resort and overnight stay. Sightseeing tour of Munnar covering Maduppetty Dam, Lake, Echo point and Tea Museum. A soft trekking to Rajamalai takes about half day up the hill which is the home for the mountain goats protected in the national park (Eravikulam national park Rajamalai). Late evening back to the resort for overnight stay. Prepare for a check out and transfer to Thekkady also called Periyar famous for the Wild life sanctuary for Tiger reserve; 90 kms 3 hrs. Check in to the hotel and day at leisure for the evening visit to Periyar wild life sanctuary and plantation zone in the later hours. Back to the resort for overnight stay. Kumarakom is a premium backwater destination of Kerala which is about 165 kms 5 hrs from Thekkady is your destiny for the day. 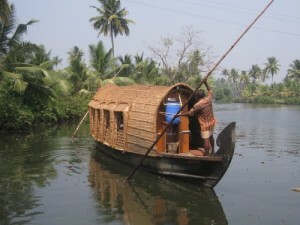 Check in to the backwater resort and plunge yourself to total relax and beauty of the backwaters. Overnight stay at the backwater resort. Morning visit to the Kumarakom bird sanctuary surrounded by backwaters. Prepare for the transfer to Alleppey 38 kms 1 hr, check in to the houseboat for the enticing cruise of the backwaters of Kuttanad. Check in to the houseboat by 12 noon & enjoy the cruise till evening and proceed for a guided village tour and fishing. Overnight stay on board. Your morning cruise starts at 7 am till 9 am and enjoy the breakfast in between, prepare for a check out by 9 am and departure transfer to Cochin airport 95 kms 2hrs 30 mns drive or enjoy the visit to Alleppey beach and extend the sightseeing to Fort Cochin if time permits before departure. 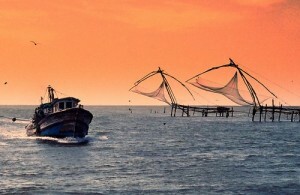 If you have not decided yet or wants to customize tour itinerary or hotels listed above in "Hills And Lagoons Of Kerala for 5 Nights / 6 Days Rs. 35982 from goibibo", then we can change the travel itinerary and make a personalized, tailor-made holiday package, especially for you. We can modify this travel package as per your itinerary, budget, duration and the tourist places you would like to visit, including transportation and airfare should be included or not. Please fill the form below to contact us.